When you use a property management company to market your rental home, you create a funnel for applicants that saves you time and delivers the most highly qualified tenants for your property. Think about the likely situation when someone comes to see your home. That person will probably be with an agent and that real estate agent is only going to make $200 or $300 to show your home because that’s all the commission an agent will get for a referral. Real estate agents helping tenants to find rental homes are basically doing it as a favor. They aren’t making a lot of money. Because of that, they are going to make sure these tenants are well screened and have a good chance of getting a rental application approved. A real estate agent will ask tenants tough questions about income, employment, past rental experiences, how many pets and children are included and other things that will pre-screen these individuals. They are going to make sure they are showing homes to good tenants. When they do show some places, the agents are only going to show two or three potential homes to renters. It doesn’t make sense for them to spend time showing 25 rental homes to a single applicant. Again, the agents are not getting a sales commission and they are basically doing this work for referrals and future business. Those agents with their well-qualified tenants are creating a funnel for you, the property owner. When these people come to look at your home, they’ll need to pay an application fee. They know their credit will be checked and their employment verified and their references checked. 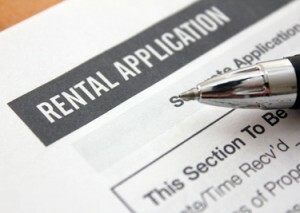 All of these factors will determine whether they’re approved to rent your home. You’ll eliminate the group of renters that I call Craigslist-type tenants. These are the tenants who show up with a sob story and offer to pay $1,000 in cash to get moved into your home. However, that cash deposit is the last money you’ll probably see from them. A property management company will take care of your funnel and make sure to use contacts with local real estate agents to funnel the best tenants to you. With a good funnel in place, you’ll only have to show your home once, twice or maybe three or four times. You won’t have to show the place 40 times or more just to get a single application. The funnel works for you through your property manager. If you have any questions about how to create a funnel for your rental property, please contact us at RentWerx San Antonio.